Pastor Flip Benham told radio hosts Matt Murphy and Andrea Lindenberg on the "Matt and Aunie" show that Moore’s service in Vietnam left him pressed for choice when he returned and pursued a law degree. “All of the ladies, or many of the ladies that he possibly could have married, were not available then, they were already married, maybe, somewhere,” Benham said. In an interview earlier this year, Moore said he first laid eyes on his future wife when she was a 15-year-old at a dance recital. They formally met eight years later, when she was 23 and he was 37, according to Al.com. Moore, who was reportedly banned from a Gadsden mall for flirting with young girls, has been accused of pursuing teens while he was in his 30s. Beverly Young Nelson also said Moore sexually assaulted her when she was just 16. 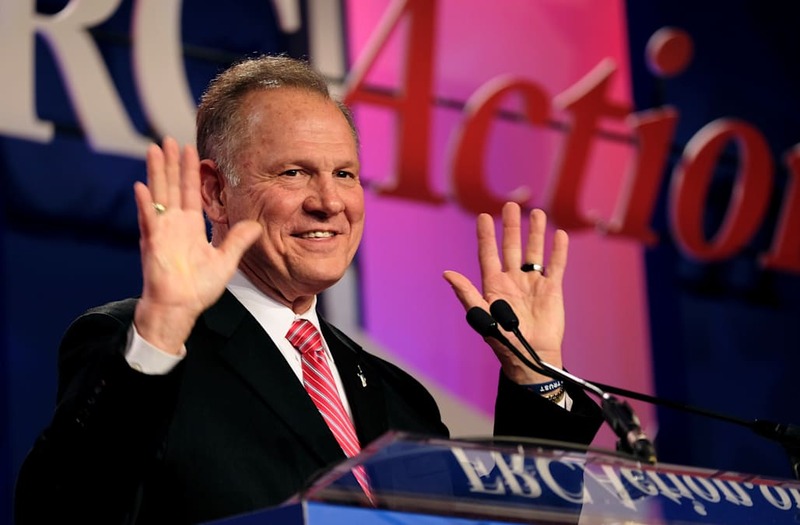 Moore has adamantly denied any wrongdoing and said he only dated girls with their parents’ approval.